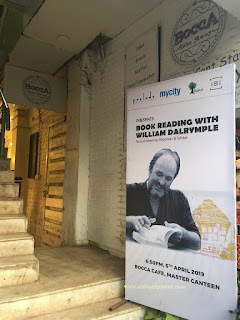 However, later, it was changed to Bocca Cafe, a cafe in the heart of Bhubaneswar. 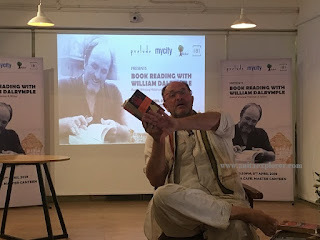 I visited the book reading event. The hall was full of literature-lovers like me. 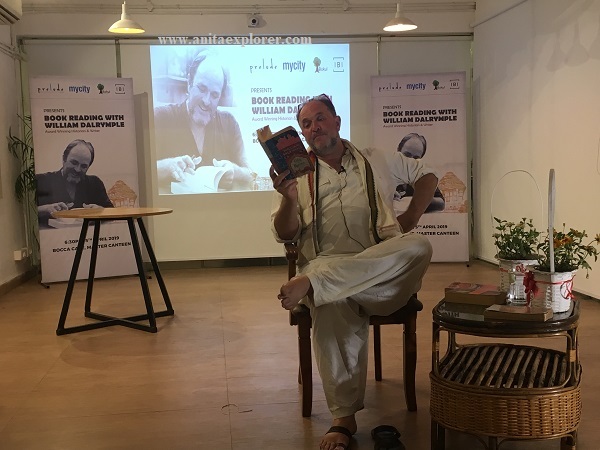 William Dalrymple read out selected excerpts from four of his books that included- 'Nine Lives', 'City of Djinns' and 'From The Holy Mountain'. 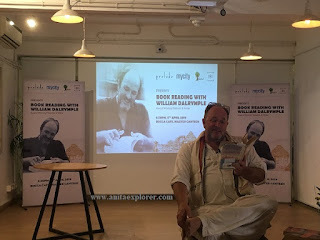 He also answered some questions from the audience. 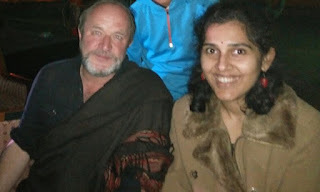 It was a cool event. Thanks to the organizers- Bakul Foundation, Prelude, My City Links and IBI. 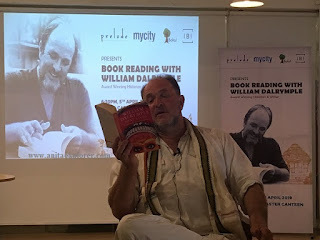 Thanks to Odisha Tourism for inviting William Dalrymple to Odisha and for taking him around our heritage sites. 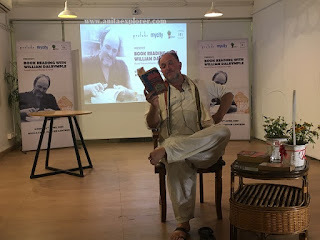 Anita, it must be so thrilling to attend a literature festival and book reading session by such a great author.